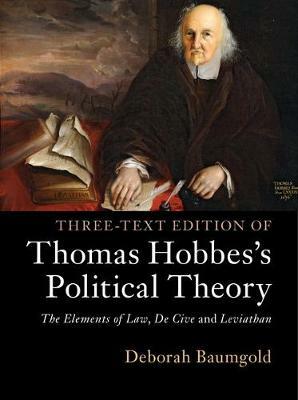 An exciting English-language edition which for the first time presents Thomas Hobbes's masterpiece Leviathan alongside two earlier works, The Elements of Law and De Cive. By arranging the three texts side by side, Baumgold offers readers an enhanced understanding of Hobbes's political theory and addresses an important need within Hobbes scholarship. The parallel presentation highlights substantive connections between the texts and makes it easy to trace the development of Hobbes's thinking. Readers can follow developments both at the 'micro' level of specific arguments and at the 'macro' level of the overall scope and organization of the theory. The volume also includes parallel presentations of Hobbes's chapter outlines, which serve as a key to the texts and are collected in a précis appendix.